This rock consists mainly of quartz, mica, and feldspar. The most commonly mineral used in the making of jewelry and hardstone carvings..
We supply decorative pebble stones / river stones for aquariums and landscapings. 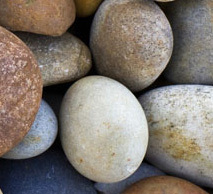 We supply Pebble Stones in various sizes and specs. Please contact us for details.